Hailing from the industrial house of Saraf in Nagpur, Rishi Saraf gained experience as a partner in the mining firm RBSSN, Hospet; Salt manufacturing firm Shree Krishna Salt Works, Visakhapatnam; and Movie Hall Saroj Cinema, Nagpur until 1992. In the year 1997 Rishi started out on his own in real estate investing, where he learnt the nitty-gritties of real estate sector, the types of property which give best return and all the footwork required toward owning and developing one, which rewarded him with excellent returns. Canary now offers Real Estate Services (hand-holding in real estate i.e. helping investors maximize their return with buying, selling, developing and leasing requirements) and Industrial Consultancy (connecting new entrepreneurs to experts related to industry). 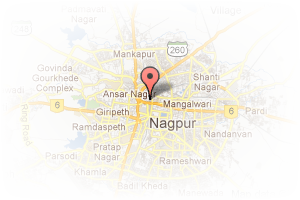 Address: 43/B2 Vrindavan, 173 Civil Lines, Civil Lines, Nagpur, Maharashtra, India. 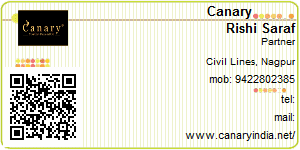 This Broker Profile page for "Canary" has been created by PropertyWala.com. "Canary" is not endorsed by or affiliated with PropertyWala.com. For questions regarding Broker Profiles on PropertyWala.com please contact us.